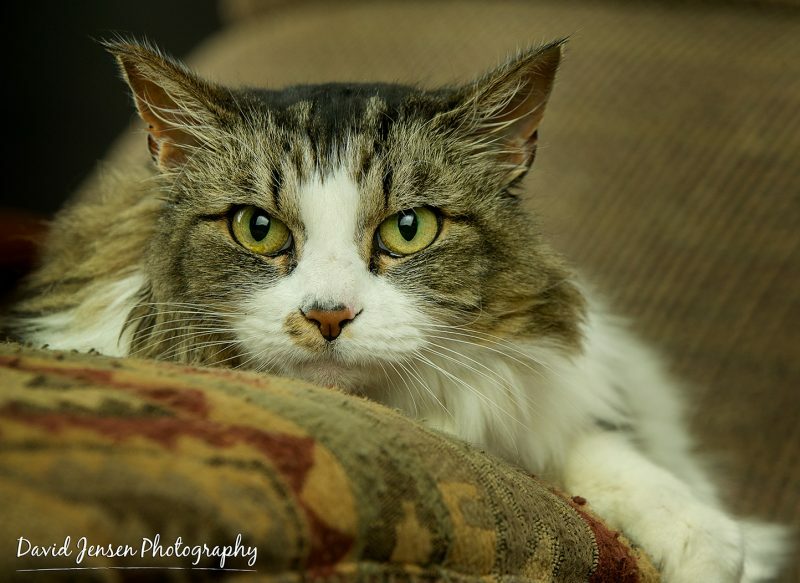 Pumpkin is a sweet and gentle kitty left behind when her previous owner moved. A Good Samaritan assisted her and she came into our care. Looking for a quiet companion for cold winter nights? Pumpkin would be perfect! Portrait by David Jensen Photography.